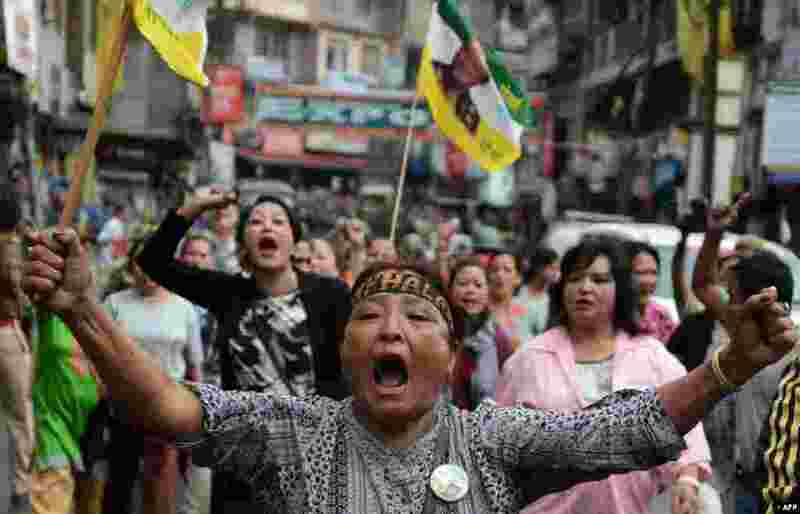 5 Supporters of the Gorkha People's Liberation Front (GJMM) take part in a rally during a strike demanding a new Indian state at Kalimpong town, some 75 km from Siliguri, India. 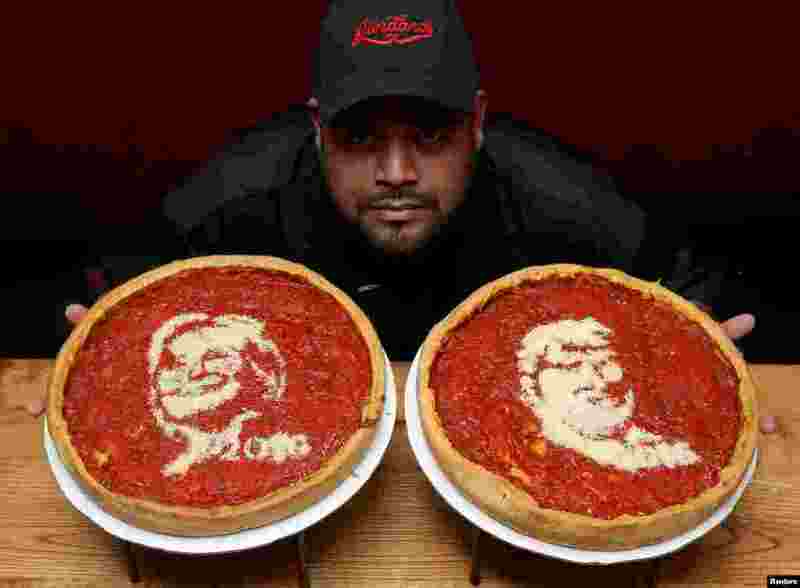 6 Head cook Fabian Martinez poses with pizza's decorated with the images of U.S. Democratic presidential nominee Hillary Clinton (L) and Republican presidential nominee Donald Trump at Giordano's Pizzeria in Chicago, Ilinois, Sept. 27, 2016. 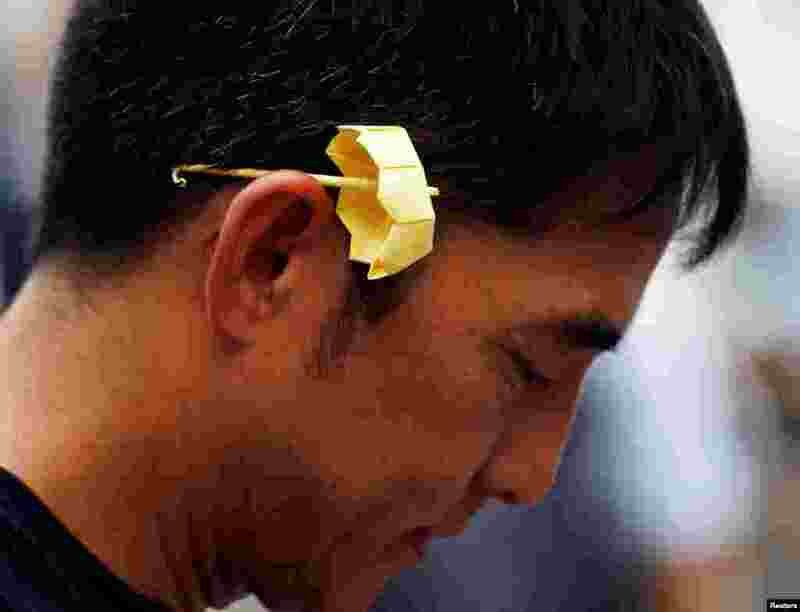 7 A man with a yellow origami umbrella, symbol of the Occupy Central civil disobedience movement, takes part in the second anniversary of the movement outside government headquarters in Hong Kong. 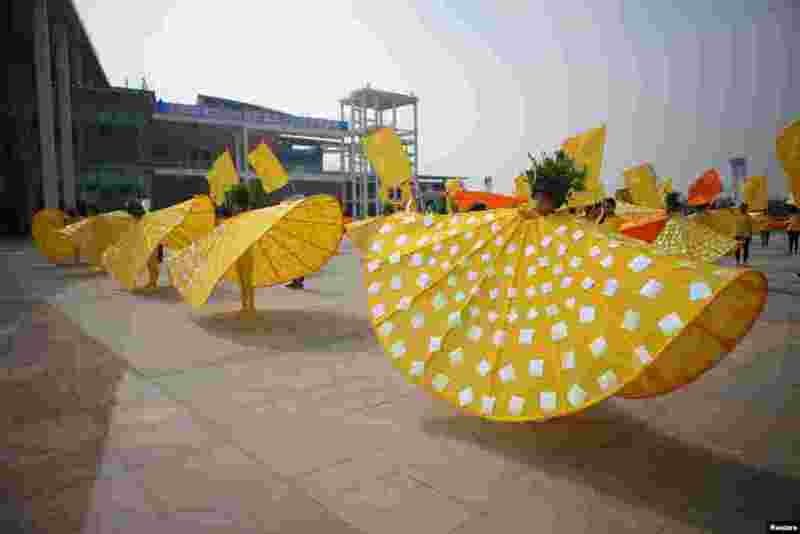 8 Participants wearing special costumes imitate the flow of the Yellow River during a Yellow River-themed performance in Binzhou, Shandong province, China, Sept. 27, 2016.